The old saying goes, “An ounce of prevention is worth more than 10 pounds of cure.” No truer words were ever spoken. When you take the time to be proactive and do what’s necessary to catch problems early, there’s less need for major undertakings to correct huge problems. A simple way to get in front of any approaching issues is to have X-rays taken by your Park Slope dentist to monitor your oral health. Learn more about why they are so important. Dental X-rays are key to preventive dentistry because they allow your dentist to see inside your jaw and teeth, the roots and the bones underneath your gums. They are used as part of routine dental exams to help rule out gum disease and diagnose any other specific problems. Bitewing – These show the crown portion of your tooth and can highlight any early signs of tooth decay. Periapical – The periapical X-ray gives your dentist a good indication of your teeth’s bone height and root tips. Panoramic – The panoramic X-ray is taken from outside your mouth and produces an image of the entire oral cavity. It can identify impaction, cysts, tumors, jaw disorders and bone irregularities. At your first visit, your dentist will recommend taking a full array of X-rays to build a complete profile of your current oral condition. This will serve as the foundation for him to refer to between your visits to see how your oral health is either progressing or regressing. 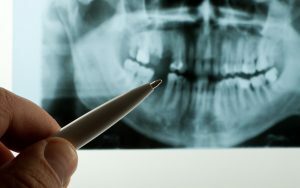 Most adult patients have bitewing X-rays every year, and a full mouth series every four to five years. However, those with a greater tendency for oral issues, may need them every six to 18 months. Overall, dental X-rays serve as another preventive mechanism that your dentist employs to ensure your continued oral health. Make sure to schedule a visit with him semi-annually to have your teeth thoroughly cleaned and examined. Now when you’re there, you’ll be better educated as to what types of X-rays your dentist in Park Slope is using, but more importantly, why. Dr. Frank Sapienza has been crafting smiles for over 30 years. He received his bachelor’s degree from New York University and went on to earn his Doctor of Dental Surgery degree from the New York University College of Dentistry in 1985. He is a member of the American Dental Association, Dental Society of the State of New York and Second District Society. 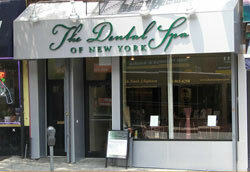 He practices at The Dental Spa and can be reached for more information about his services through his website.